And welcome to another another Sunday 7. After wasting a good couple of days this week, faffing about choosing a wedding outfit, I settled on a maxi skirt & top combo… this skirt would in reality be a midi length on most, but of course it was a full length number on titchy moi. Gorgeous Alexa rocking a slouchy knit with a floral midi skirt & sneaks combo. I’ve focused on midi length skirts because if you are petite like me, you *CAN* still wear these as a maxi skirt and look utterly fabulous. Before we get stuck in, I have a confession: the skirts are ALL from either Mango or Zara. I just couldn’t help it! they just seemed to have the best offerings! So this is a bit of a shock – me posting about florals I like, eh? 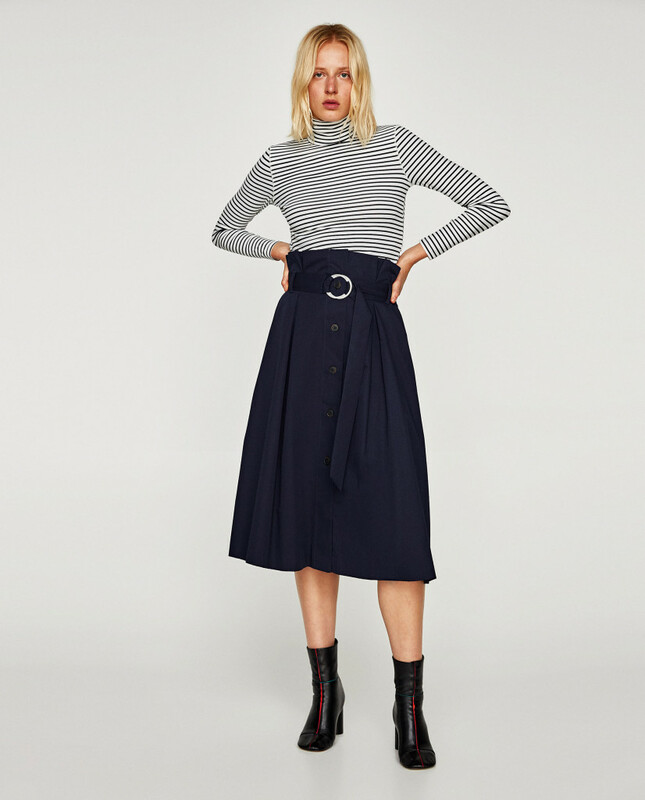 I think this skirt would look totally lush with a slouchy cashmere roll neck and trainers… or indeed, boots if you prefer. 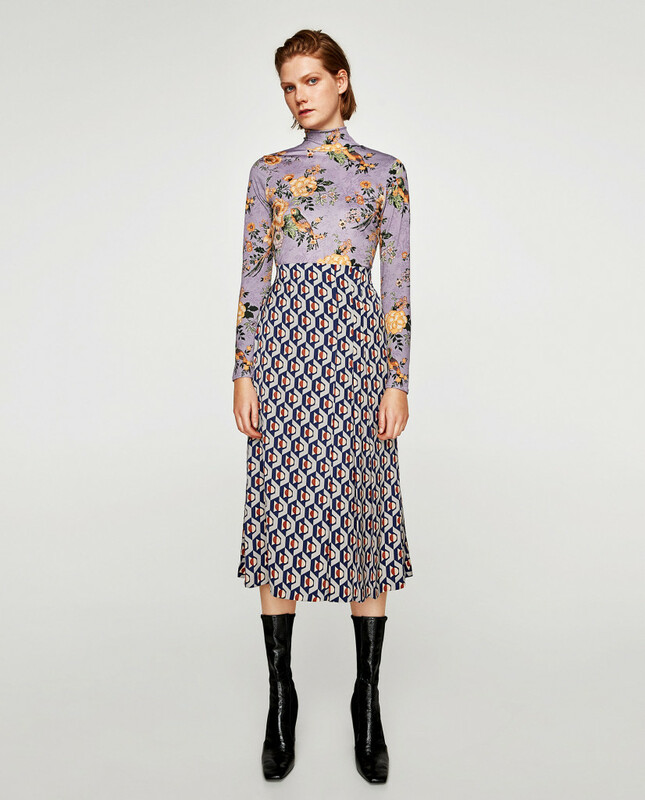 This kind of print clash styling isn’t for everyone… but if you like the skirt, which is a really great price (wonder what the fabric is like in the flesh?) 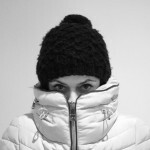 remember: slouchy knit! If you’re not a print fan, this navy paper bag waist skirt is just gorgeous. 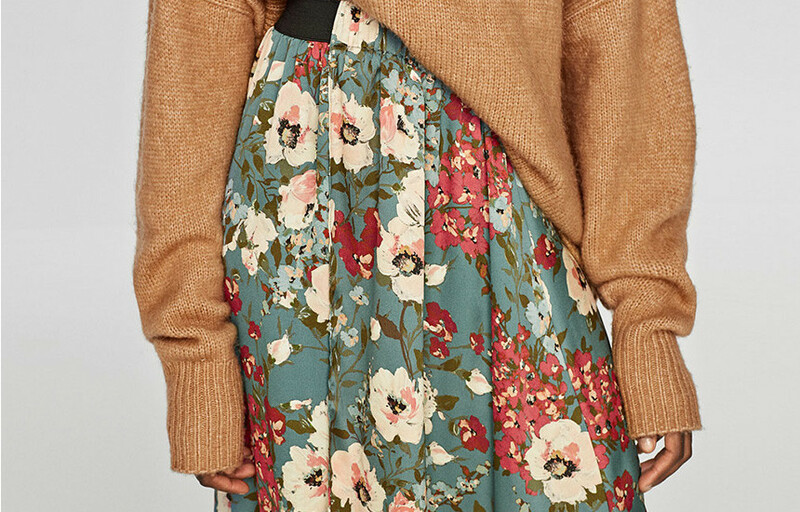 Spotted this skirt on Kate (Wears My Money) and Belle (Honey Belle World) on the same day… it’s the check print, the vintage 40s vibe which has me adding this to my ‘dream-on’ list. I say dream on because I have a feeling that it would swamp me… but could certainly work on anyone who is 5’2″ and over I reckon. Oh to have an extra couple of inches! I’m going through a monochrome phase at the mo, so I had to include this skirt. I’d pretty much always pair it with a black or navy turtle neck: predictable and safe maybe, but also classic. Again this skirt looks too long for petites, but it’s an easy one to take up! I know – red is the colour of the season and that’s all we’re all hearing about all the time at the mo. This skirt would be brilliant with a big baggy slogan sweatshirt & trainers, it really would. And a great length for us petites. 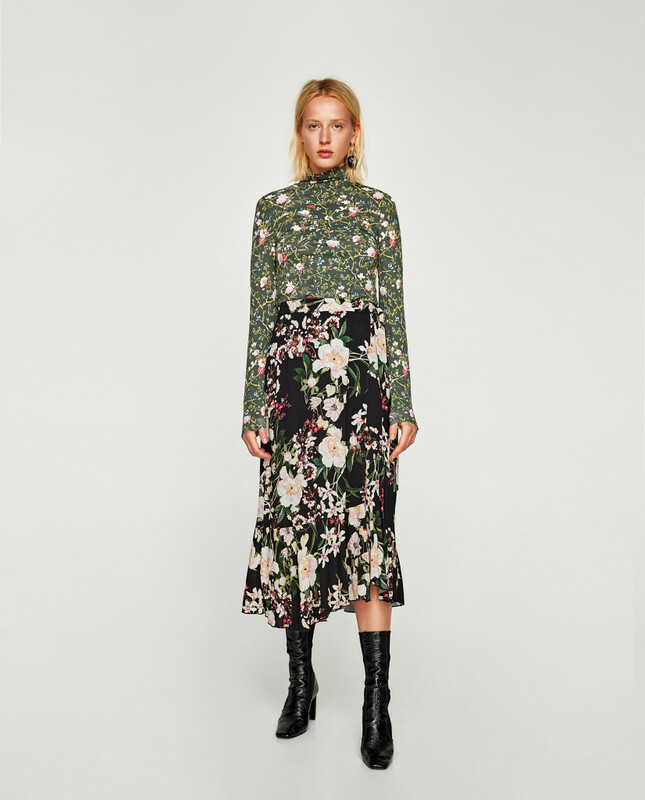 WARNING: again, the styling here from Zara isn’t for the faint-hearted; ignore the print clash and LOOK at the skirt! I absolutely LOVE this geometric print! It would look gorgeous with any plain knit and in fact, the more I look at it, the more I like it. I have plenty of plain navy, a couple of red knits or sweatshirts which would look great with this. And I think the length would be even better on us shorties! AND, and, and… it is *just* £29.99. How pretty is this one? I don’t like to get all schmultzy about it, but… I’m gonna: that print is so *dreamy*. And I know the print isn’t Japanese Cherry Blossom, but there is something quite Japanese about the print, don’t you think? If you fancy dipping your toe into this “look” then these Zara £29.99 midi skirts are worth a punt in my opinion. 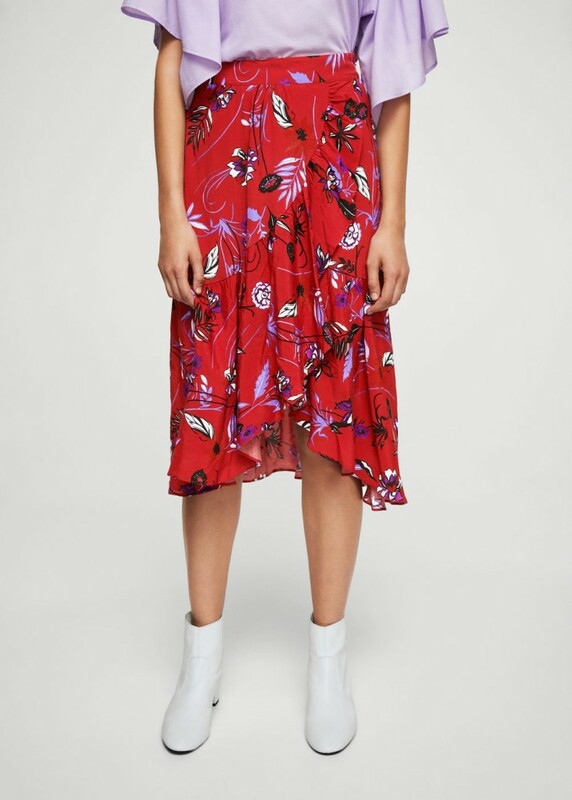 The only reason I’m not adding this one to my basket (and it is taking ALOT of restraint) is that the skirt I wore to the Wedding is a Vintage Japanese Skirt & floral print (…well, it was a dress, but I unpicked the top ‘halter’ part off). I don’t think I need two floral maxi’s right now… I’m only just getting into print full stop, so best to break myself in gently! 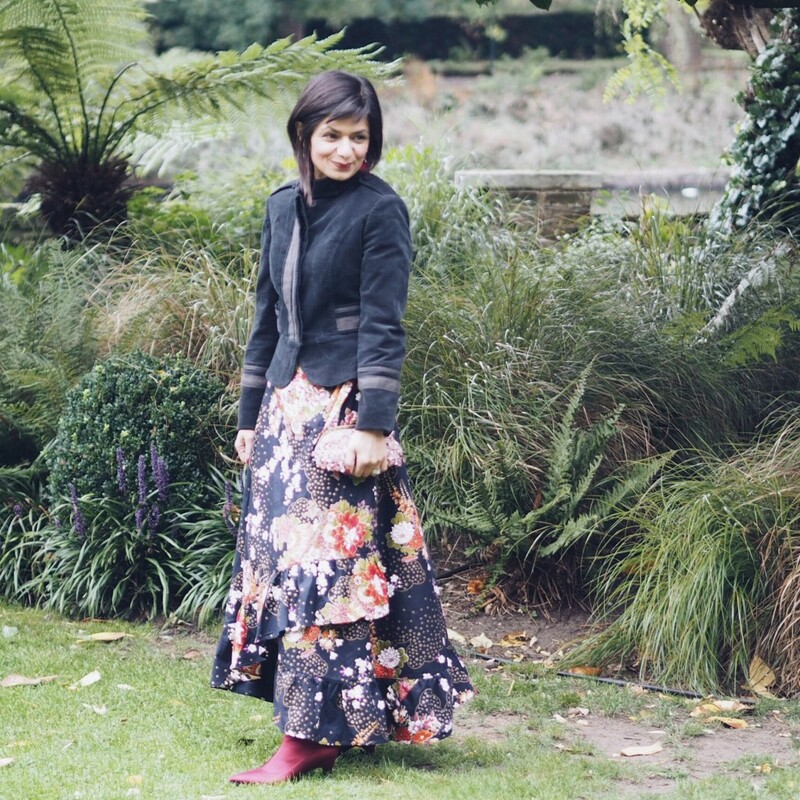 I absolutely loved swishing about in this maxi-length wrap skirt. The velvet military jacket is very old (about 10 years old in fact) but Zara always have a military-esque jacket or two or three, every season. Only the boots were new, from M&S: and I have to say, they are incredibly comfy! I know the heel height isn’t too vertiginous, but any heel is normally too much for me for anything longer than an hour. I wore these for 12 hours straight and, very unusually for me… no knee problems to report! And speaking of those 12 hours: how exhausting are weddings? A most fabulous day & night was had, no question… but having to get up at regular school time on a Saturday, pack the boys & pooch off to my sisters first before catching a 3 part train (we were only heading to Richmond, but just a choppy, change journey! )… we actually only just made it to the wedding by the skin of our teeth! And then of course, you end up sipping various drinks from lunchtime, but have your ‘lunch’ at 4pm… and well, just staying up late plus all that dancing: all great, great fun… but exhausting. Alas, I did not love how I felt on Sunday though. Neither did I love the b*ggered up train connections of the 3 part train journey which eventually broke us and led to getting a taxi for the final leg. And thank goodness for family! My sister was a star when we turned up to collect the boys look absolutely wrecked beyond repair. She’s immediately cracked open some resolve and the classic hangover cures of cheese & onion crisps for me, and a fried egg sarnie for the hubby! Except of course I wasn’t *actually* in the background of her photo… I wouldn’t have dared! Anyway…. back to the skirt: I plan to get more wear out of it in a more casual way, with the tried & tested sneakers, sweatshirt & biker combo. 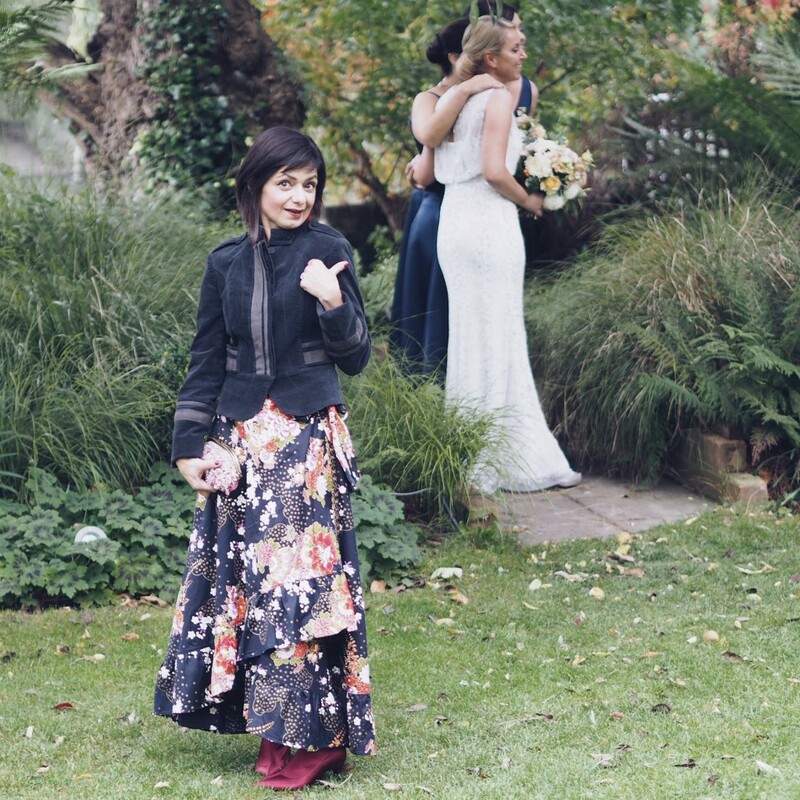 It would be lovely to hear from you about your thoughts on midi/maxi skirts… and if you’re petite, do you wear maxi lengths? Or shy away from them? Leave a comment – I’ll get back to you. Love that first pic of Alexa. I have that pinned on Pinterest. 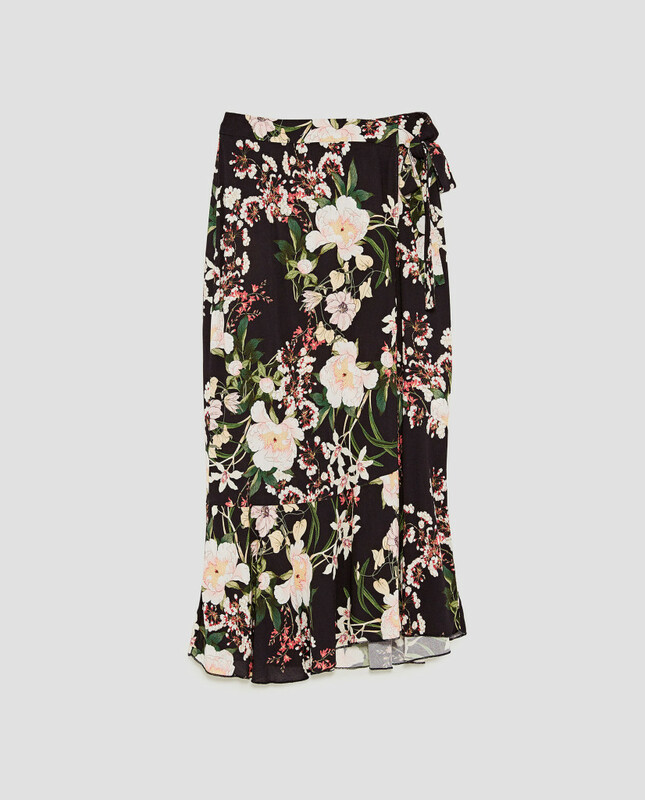 And I have to admit I’ve really got behind this floral midi/maxi skirt thing this year after buying my little cheapy one from New Look. For some reason, I love it as it’s one of the comfiest things you can wear – the length takes away all the angst of legs on show. 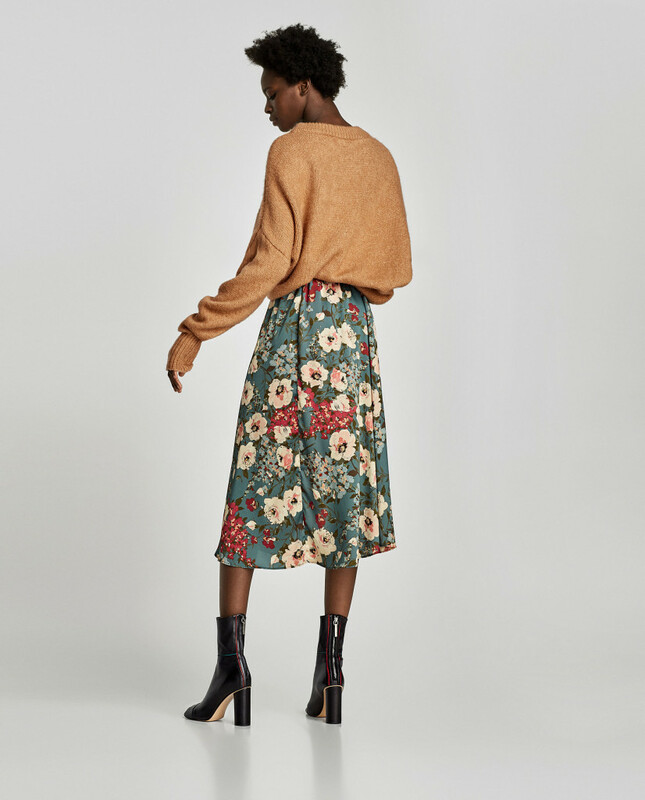 And the Zara skirt with the geometric print, I keep popping it in the basket but I had to tell myself to stop – I don’t wear skirts in the winter time! Look forward to seeing how you get on with yours though when it comes. Nodded my way through your blog post – spot on! 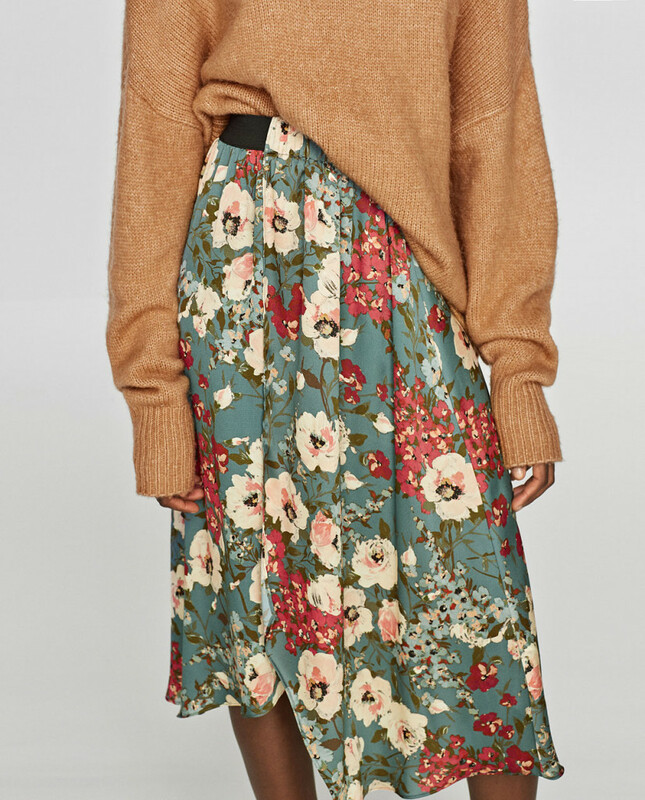 Have put 3 zara skirts in my basket but they are all 100% polyester and I fear static with tights which massively puts me off!